Do you like Shadowhawks Squadron? Share it with your friends. 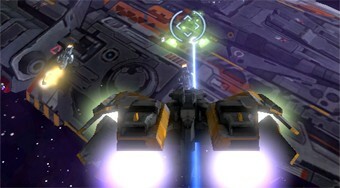 Shadowhawks Squadron is a deluxe 3D air shooter from space battles between humans and aliens. Fly through the galaxy, use missiles and missiles to dispose of alien spaceships and battle your attacks against your space base. The radar at the bottom right of the screen will help you find where your enemies are.